Now that summer is in full force, it’s time to enjoy all Bellingham, WA has to offer. 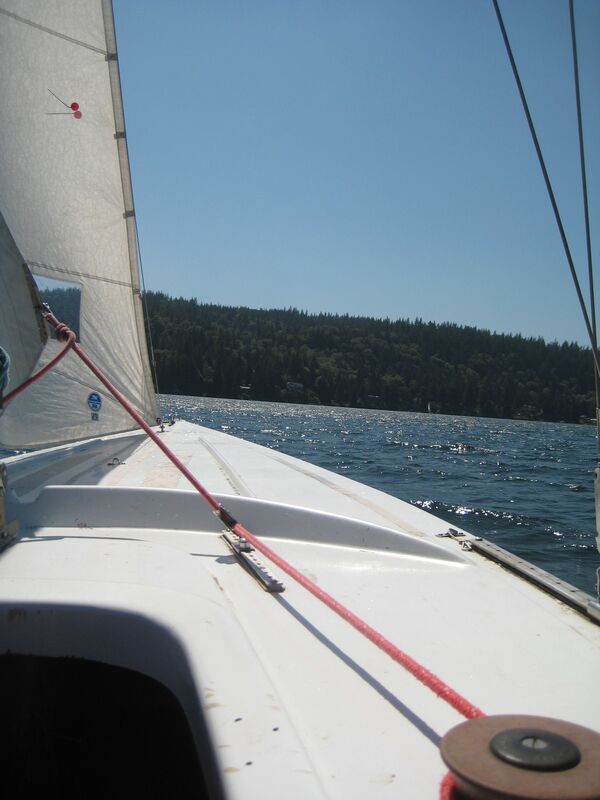 Yesterday afternoon some friends and I rented a 22 foot sailboat and hit Lake Whatcom. How awesome is it that we have a huge lake right in Bellingham? 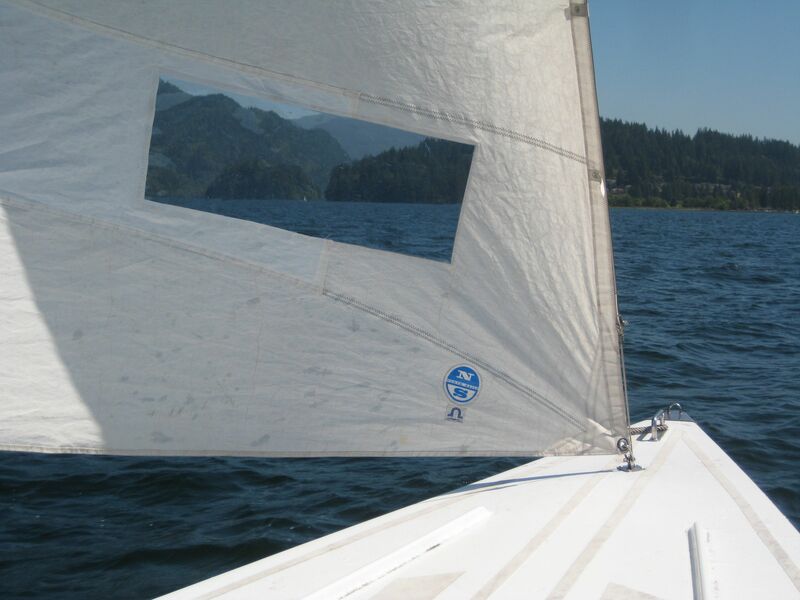 It was a perfect day on the water, a sunny day with moderate wind. 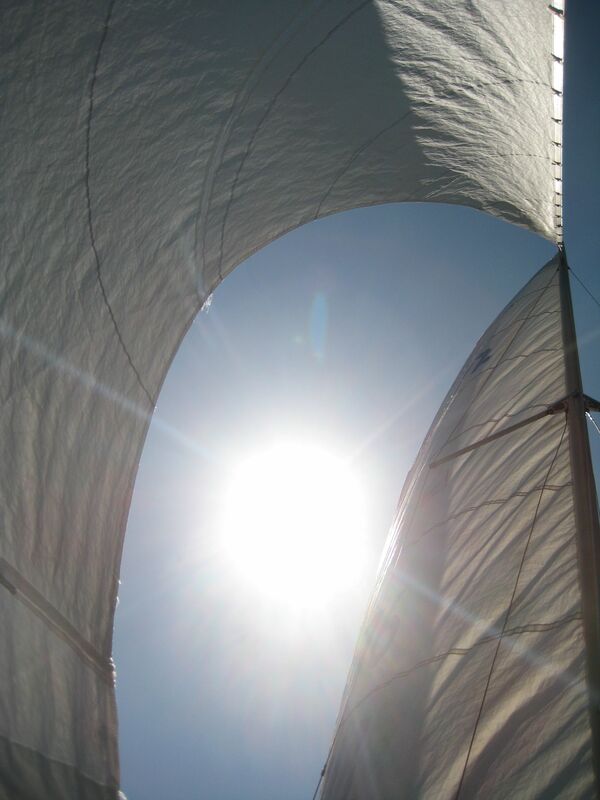 The sun through the sails. We rented a boat from Lakewood, a Western Washington University outpost on Lake Whatcom. You need a current WWU, Whatcom Community College, or Northwest Indian College ID card to go there, or an alumni card, or a friend to bring you there (my option). They also rent kayaks, canoes, sailboards, and rowboats. Their prices can’t be beat, a day of sailing was $6. You do need to have the knowledge to go sailing of course, and in some cases an orientation is required.